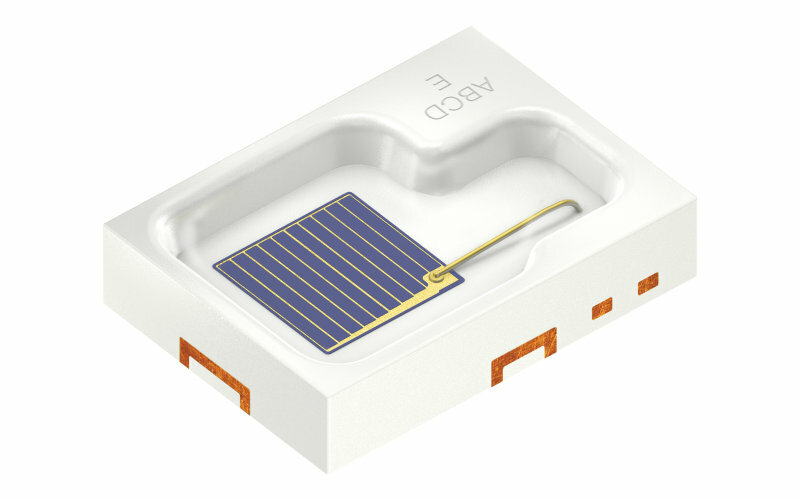 In the world of tomorrow, the key to your identity could quite literally be in the palm of your hand. 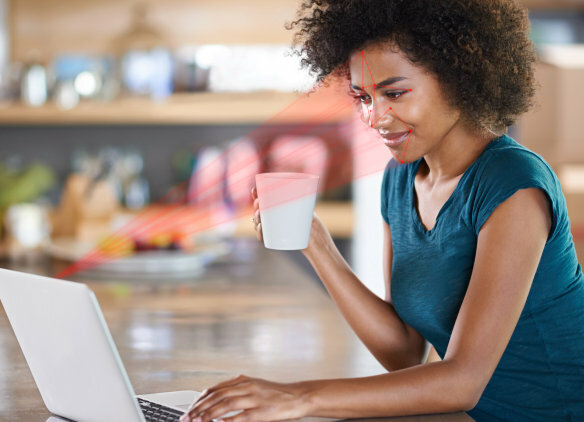 With personal authentication becoming an essential requirement for a wide variety of purposes, such as mobile electronics, many systems now rely on biometric features to identify authorized users. 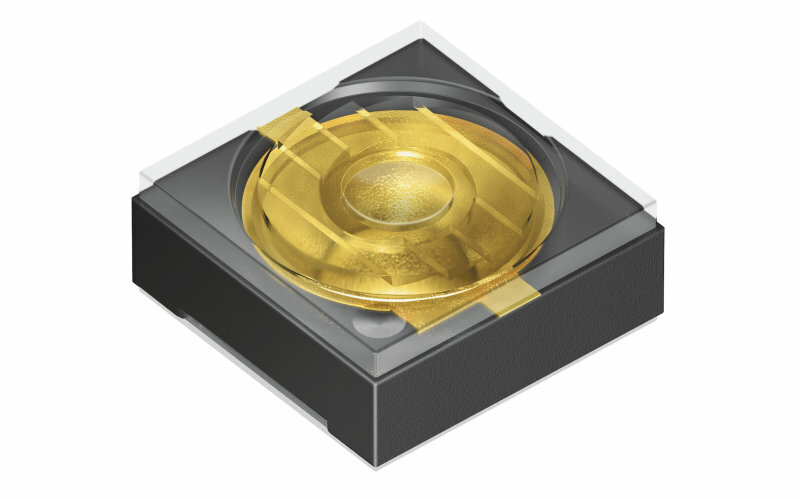 Osram Opto Semiconductors is helping to ensure these systems reach the highest level of reliability and security, to make sure the most important things in your life are as safe as they can be. 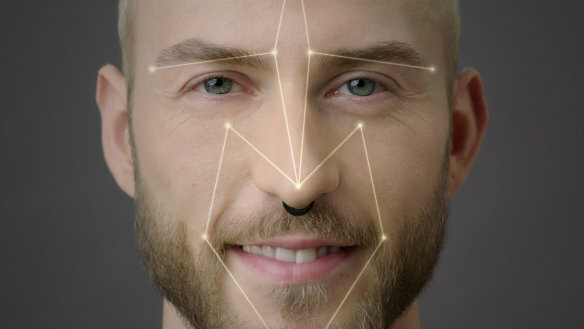 Biometric identification makes use of unique human characteristics, including facial features, the pattern of the iris, or the network of veins in the palm. 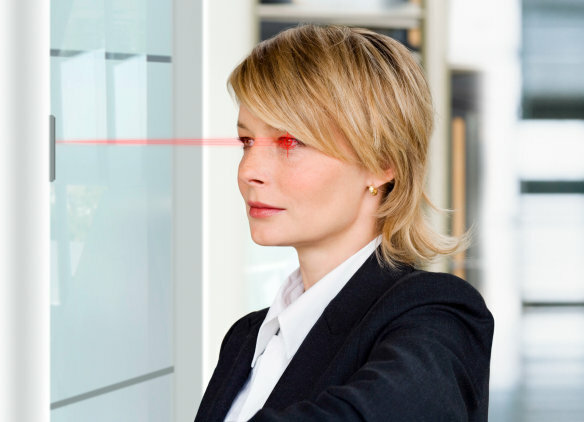 The technology offers a safe and convenient alternative to managing complex passwords. 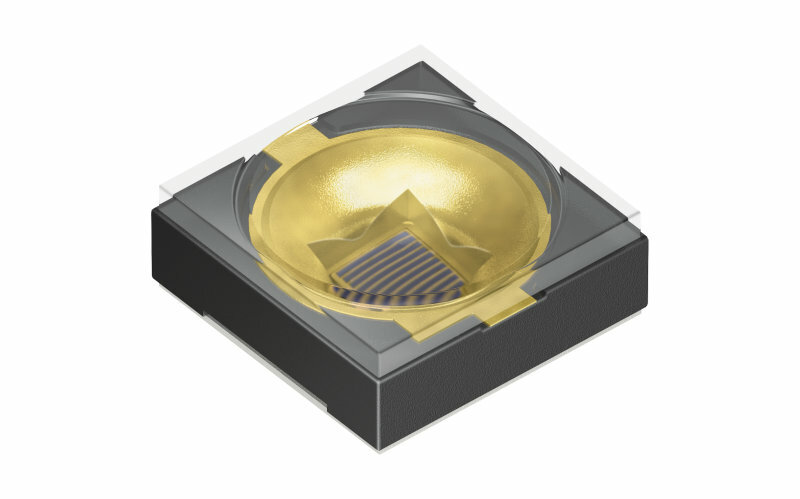 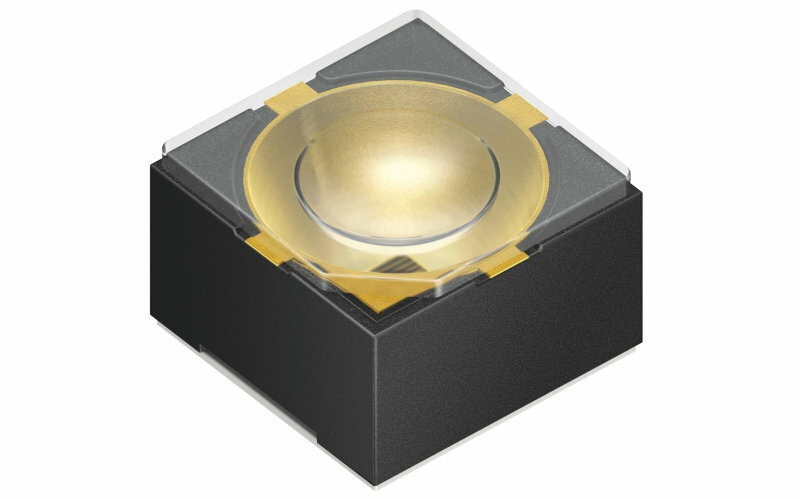 Osram Opto Semiconductors supplies special infrared LEDs for biometric recognition systems. 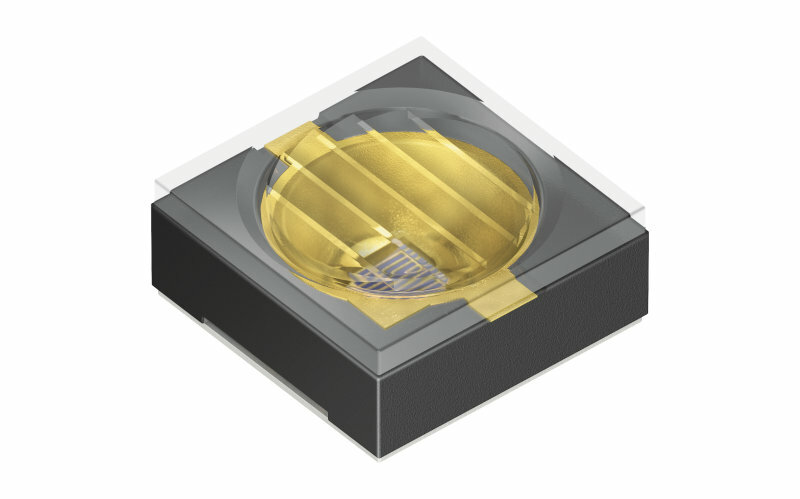 These LEDs are used to illuminate the target area, enabling the systems to achieve high quality images, and ensuring reliable identification. 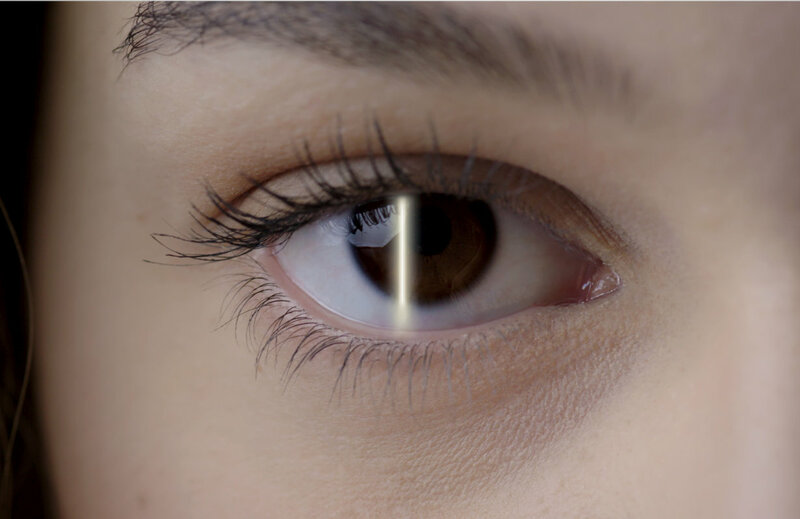 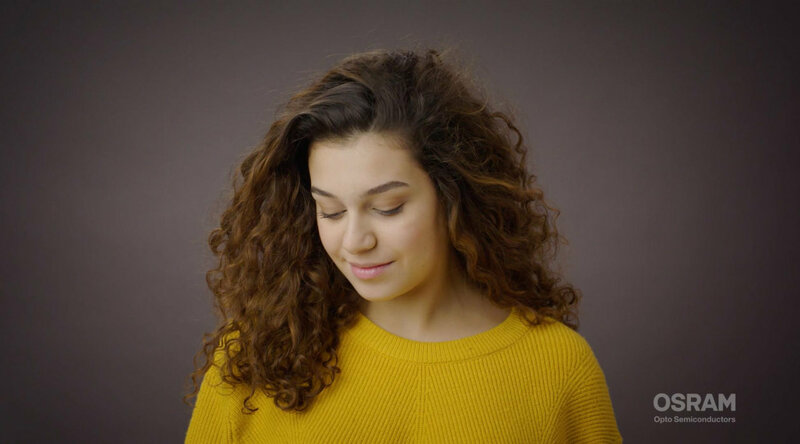 With a marginal error rate, the iris scan is one of the most reliable biometric identification methods. 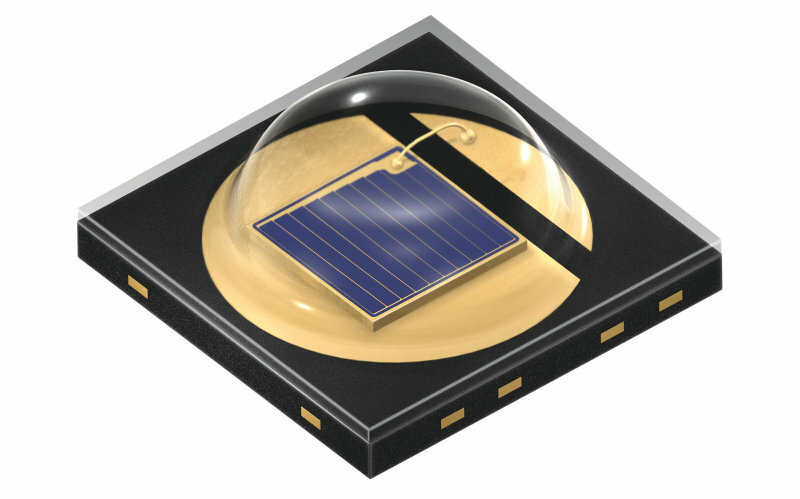 The possibility to now use it in mobile technology makes your mobile device even more secure. 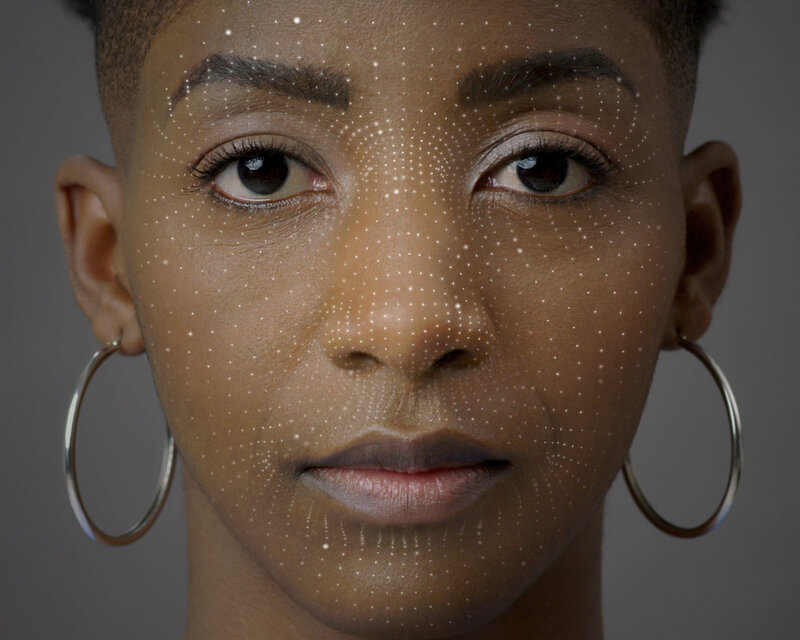 Facial recognition systems identify a person by illuminating the face’s characteristics. 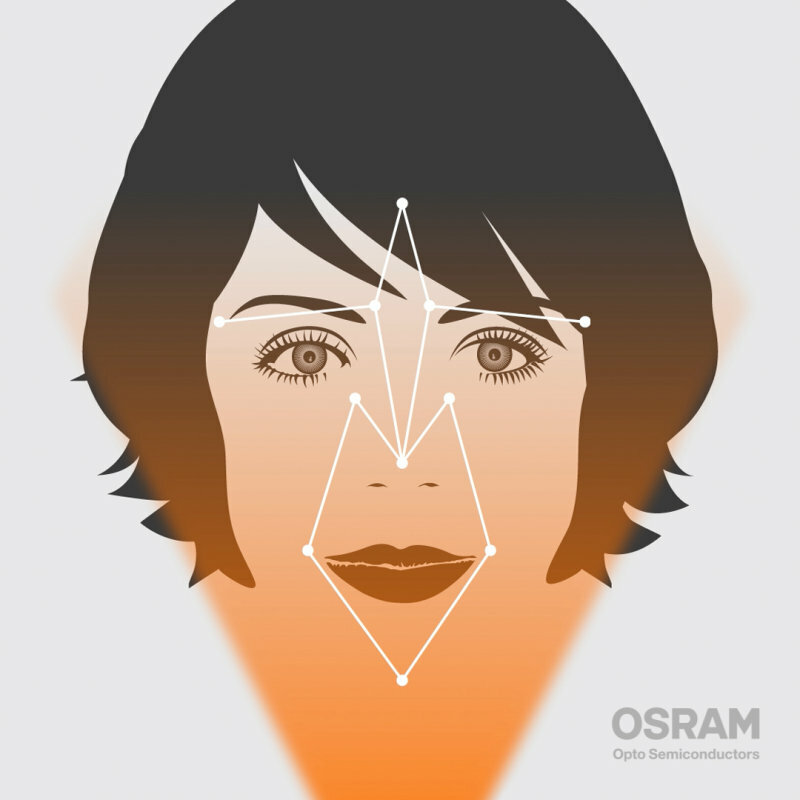 Providing bright and even illumination, OSRAM’s products ensure reliable facial recognition at all times. 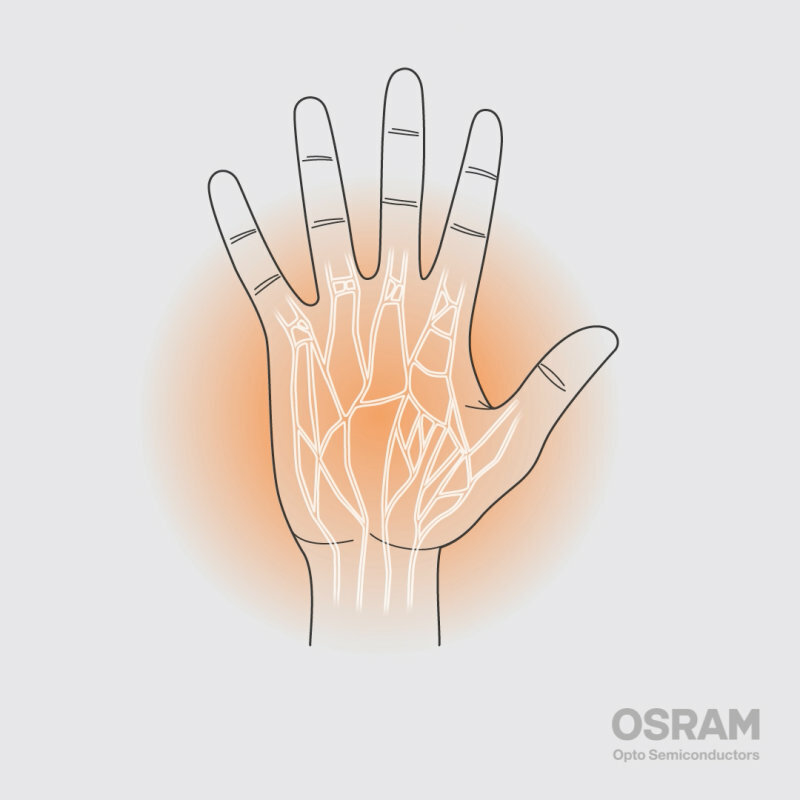 Palm vein recognition is a highly secure technology which uses unique vein patterns in human palms to confirm a person’s identity. 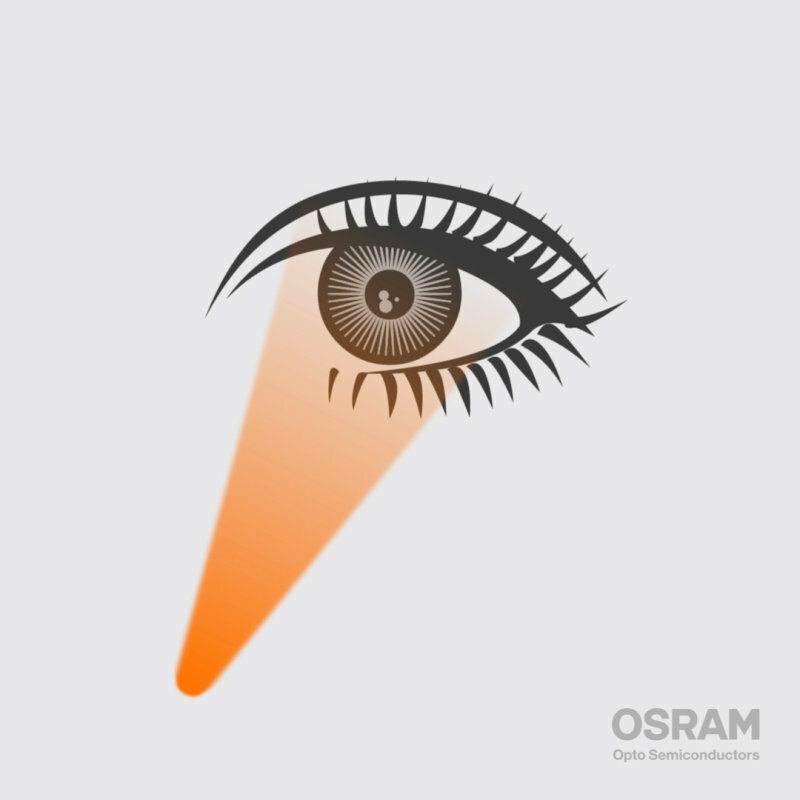 OSRAM’s infrared LED lights help detect and analyze them precisely.